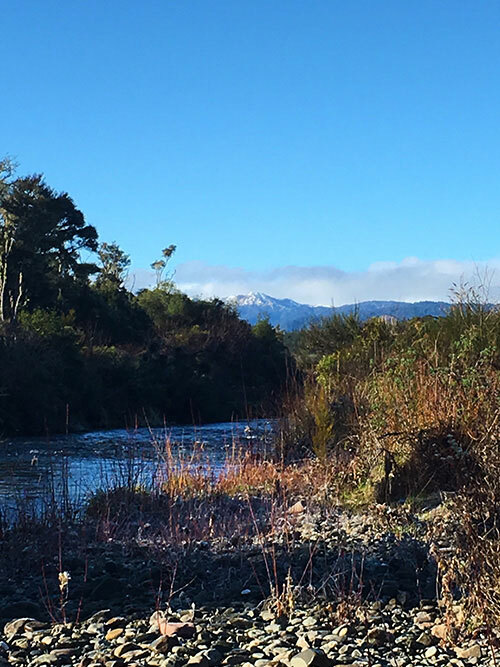 Frosty mornings with nice sunny days have certainly been welcomed here in Turangi after the last southerly cold front dropped lots of snow on the mountains. 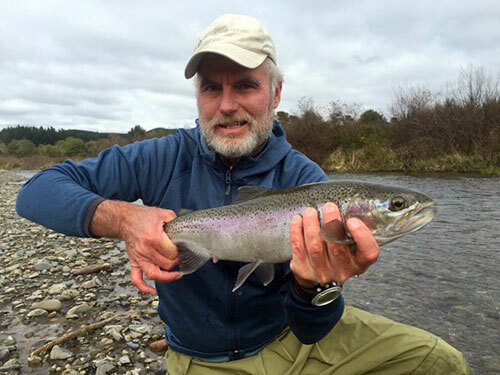 With the rivers clearing quickly early in the week, some nice trout have been caught on all Turangi rivers. 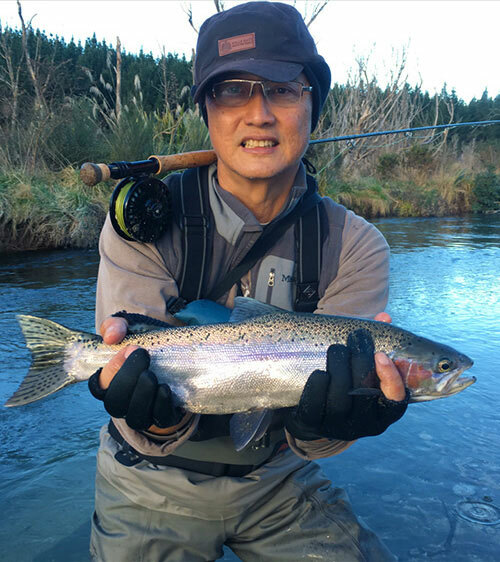 All rivers are low and clear again in the Turangi area, and with the full moon some nice sight fishing is to be had. The Tonagriro rivers fishing good with lots of trout in riffles. Night fishing has been very good at the Tauranga Taupo river mouth and Waitetoko stream mouth. 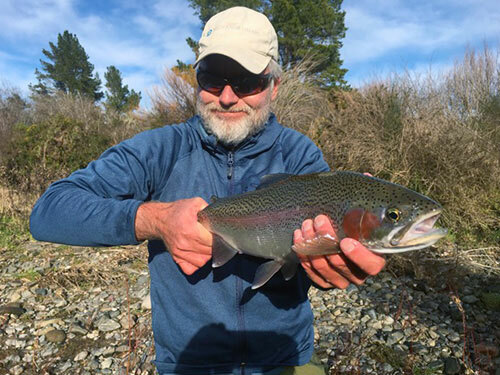 Lake Taupo has fished good for some anglers trolling with some nice eating trout been caught. They are seeing lots of trout around the rivers mouths waiting in big groups for their spawing runs. Had a great time fishing with you once again! Even though the conditions were a bit more difficult than previous visits your expertise and perserverance resulted in some fine fish caught! Had a great visit with some of the boys on the river too! I look forward to coming back because the fishing is always fun with Ken! Weather 13 degree C (day), 9 degree C (Overnight), cloudy overcast. With a strong southerly front hitting the central north Island last week we were so lucky to get some great snow on the mountains to kick the ski season off. 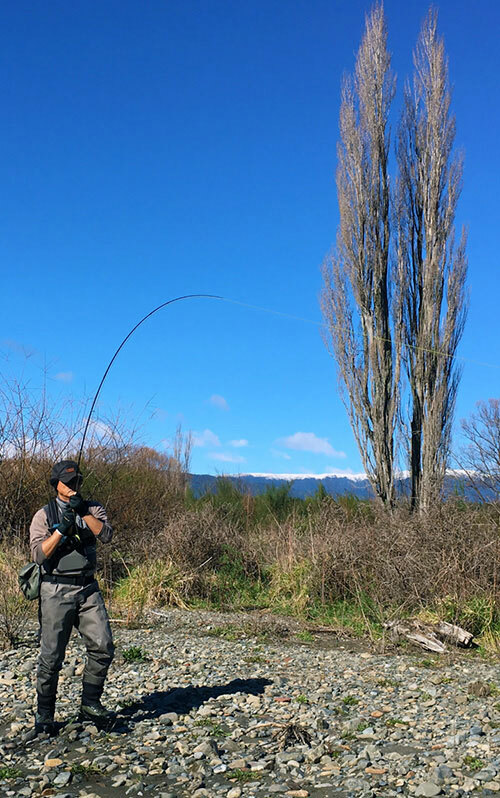 All rivers in Turangi flooded high and started dropping by the weekend with some nice fish caught after the big rain as the river slowly setted. The Tongariro river and all others are in perfect condition after the heavy rains and now ready for the spawing runs to arrive from Lake Taupo. Thanks for another great fishing day! Learned so much from you as usual. Weather 10 degree C, rain all day for Turangi, snow falling on Kaimanawa range and Mt Tongariro - Mt Ruapahu - central plateau area for the next few days. Tongariro river and others in Turangi area are running high with clear water. 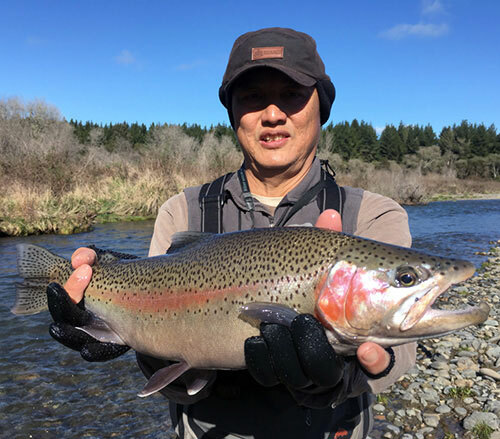 These are fantastic conditions for the spawing trout from Lake Taupo in enter all rivers for spawing, and now with snow melt in the rivers we'll see some wonderfull fishing, all new spawing fish seem to be in great condition this season with some nice eating trout to be taken. - had a wonderful time and learned heaps - thanks for sharing your amazing knowledge! See you Saturday 1 pm at Turangi Sporting Life, if not call u sat night.